Ask some film buff to name a Japanese film director. The first answer (may be the only answer) would be Akira Kurosawa. 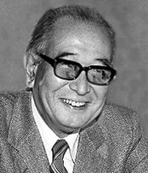 The name of Akira Kurosawa has become synonymous with samurai cinema. His film techniques have been the fuel to numerous other filmmakers around the world including George Lucas and Kamal Haasan. The powerful imagery he assembles in his shots produces a terrific impact on the viewer’s minds instantly. Ironically, this film genius is recognized more outside Japan than in it. 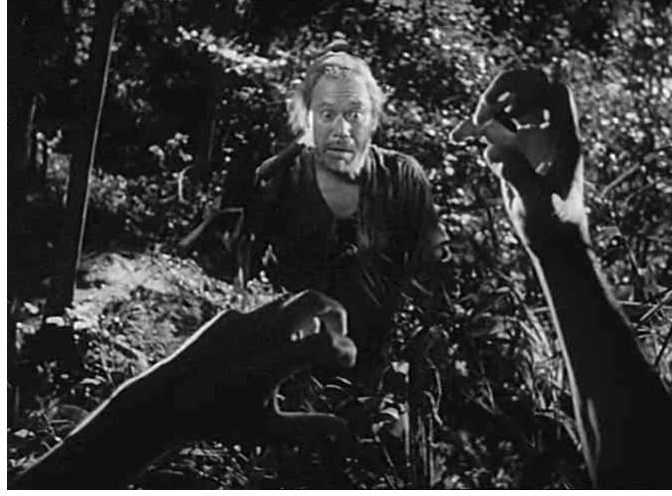 Perhaps his most famous film, Rashomon is one venture that changed not only the way the world looked at cinema, but also introduced a new term in English, The Rashomon Effect. The sheer minimalist mode that the film is shot in, sets up the mood for such a thrill. The shot where the woodcutter comes across the corpse early on is shown from the point of view of the corpse and looks as if it is going to get him. This innovation instantly familiarizes us with the corpse as a character that is to come later in the movie. Also, the use of rain as a metaphor for the pettiness of human nature and negative connotation of man’s ego provides that dream ending one expects. Take Yojimbo for instance, the film that spawned a new genre of movies called the spaghetti westerns. The bodyguard has just lost his identity and wanders into a barren town. The shot where he realizes that the town is war-torn is probably the most thrilling moment of the movie. A dog comes around a corner carrying a human hand! The vast barren stretches of land in the movie are reminiscent of the wild west, providing the perfect platform for remake into Fistful Of Dollars. Adapted from Shakespeare’s Macbeth, Throne Of Blood provides a whole new interpretation to the work. An ambitious man who is manipulated by his wicked mistress and the reasons for his subsequent fall. The story is cleverly blended with Japanese folklore and the feudal system to provide a whole new look. 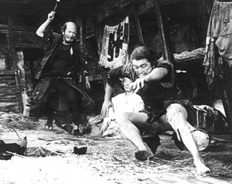 Toshiro Mifune‘s best performance may just be in this movie. He does a perfect job as a man who is swallowed by his own pride. In one of my favorites, The Lower Depths, Kurosawa adapts the Maxim Gorky work into the slums of Japan and the various issues there. The final scene where one of the partying inmates of the house exclaims after the suicide of the wretched wannabe-actor (“Stupid actor, he spoiled all the fun”) defines the whole life in the slums and portrays their everyday struggles with ease. The Lower Depths remains one of his most underrated works.